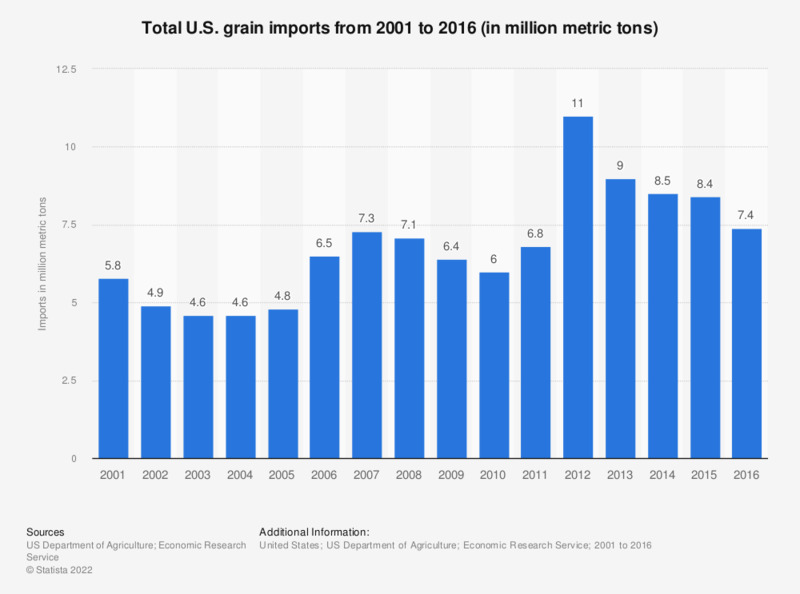 This statistic explains the total imports of grain to the United States from 2001 to 2016. In 2014, total imports of grain came to 8.5 million metric tons. Aggregate data on corn, sorghum, barley, oats, wheat, rye, and rice. The marketing year for corn and sorghum begins September 1; for oats, barley, wheat, and rye, June 1; and for rice, August 1.